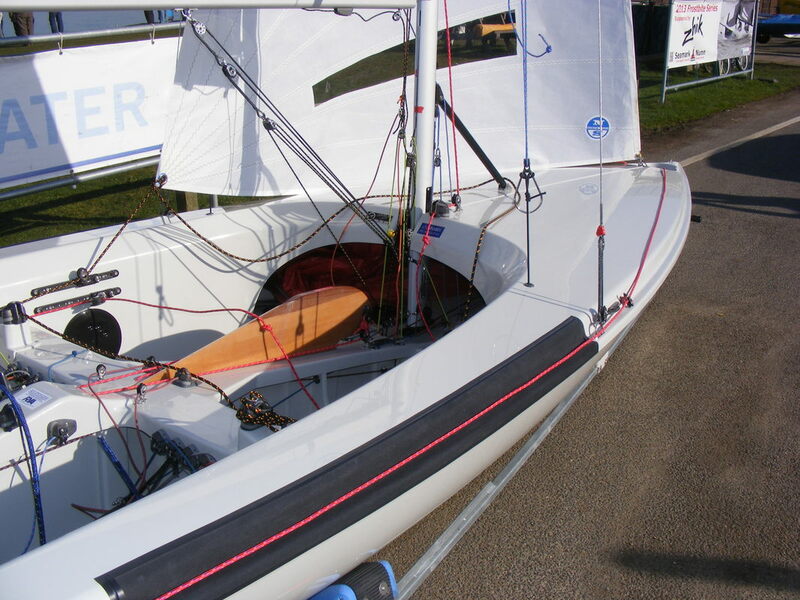 This popular Peter Milne design is now available at any stage of build, from a bare boat right through to a beautifully finished boat with Super Spars, Allen fittings and Batt sails, ready to go racing at the highest level. Covers and combi trailer can also be supplied. Whatever your requirements are, call J J Boats and talk to James about the options for your new Javelin. James took up an apprenticeship at Arthur Bretts of Norwich building reproduction furniture. He was very successful there and the skills he learnt came in useful when he decided to build wooden sailing dinghies. James had always enjoyed sailing from an early age and when the opportunity came along to start building a wooden Enterprise he jumped at the chance. He built one for himself initially and then decided to go self-employed to start a boat building and repair business. He moved to Gissing in 1999 and had the first of several workshops built. He has enlarged his premises as his business has grown. His Enterprises have won the World Championships 3 times, the Nationals 4 times and the Inlands 5 times. At the request of Paintcraft of Nottingham James started building wooden Scorpions, which have gone on to win many events and the National Championships. James also started to sail the Phantom and enjoyed this very much, although due to his slight build had difficulty in competing with the heavy weights in strong winds. Whilst sailing the Phantom he felt there was a need to make it a more comfortable boat, rather than having to kneel in it. He then built himself a Phantom, using an Ovington hull. In this he built a lowered foot well and fitted it with veneered foam sandwich decks. As some people do not like the idea of a veneered deck he built an all epoxy version with spray painted decks. These have proved popular and he has built several of both versions. Despite James weight disadvantage he won the Eastern Area Series in one of his own boats. His boats have also come second twice in the National Championships. James was approached by the Javelin Association with the approval of Paul Wright to build the Javelin when Geoff Green wanted to stop building it. Paul and Myrtle were impressed with the work that James had done on the Phantom, especially the veneered decked one. They also wanted a builder who could not only build the hulls but who was prepared to sell complete Javelins ready to go sailing. James again built one for himself first, to use as a demo boat and to make sure that it was fitted out to make it a competitive racing boat. James took his first boat to Holland for the European Championships with a Phantom sailor as his crew. Despite never having sailed together in the Javelin they came a close second. It was all down to the last race and Richard Smith beat him, winning the event by 1 point. Not bad for his first European Championships and new to the Javelin fleet that year. James’ boats have been successful in many events and has won the European Championships. James decided at an early stage to build his own foils either as he developed each boat or at the request from a customer. He now produces very fine wooden foils for many different classes of boat. His foils have helped many a sailor to win events and Championships.